A Japanese guitarist, singer and producer. Real name is Hisato Takenaka. In 1973, formed “SMOKY MEDICINE”. Performed at numerous rock events, and were scheduled to perform at one of the most massive Japanese outdoor rock event in “Kouriyama One Step Festival 1974”, but the band split up right before the event. In June 1976, made his solo debut with “NAVY BLUE”, and released the album “Char” in September (featured the swansong “Smoky”). The June 1977 release “Kizetsu Suruhodo Nayamashii” featured outside lyricists and composers which resulted in a different rock sound from that of his own. It was more “pop-rock”. As a result, his position became that of an idol guitarist and gained popularity. In 1978, the songs “Gyaku Kousen” and “Tougyushi” became big hits. Through this, him, Sera Masanori & twist, and Shinji Harada, who all are of the same generation, came to be known as the “Rock Gosanke” (roughly, 3 masters of rock). During this time, he grew tired of doing idol music and decided to restart his career with what he really wants to do: real rock music. Formed “JOHNNY, LOUIS & CHAR” with Johnny Yoshinaga (ex. Yellow, Kaneko Mari & Bugs Bunny), and Louise Louis Kabe (ex. Golden Cups, Speed, Glue & Shinki, etc…). In 1979, “JOHNNY, LOUIS & CHAR” restarted. On July 14th, they held a free concert at Hibiya Yagai Ongakudou called “Free Spirit”. Despite the fact that it was raining, fans from all over the country came to watch, and they marked the highest headcount since the venue’s establishment. In May 1980, released “Tricycle”, and in 1981, released “OIRA”. With the transfer to a new record company, the band name was changed to “PINK CLOUD”. In May 1981, released “KUTKLOUD”, in September, released “CLOUD LAND / Tougenkyou”, in Nevember 1983, released “PINK CLOUD”, and in November 1984, released “PLANT BLEND”. In 1985, PINK CLOUD made their record company transfer for the 2nd time. In July, released, the EP “ALIVE”, which was recorded at Hibiya Yagai Ongakudou with no audience. In March 1986, released “S.F” with Kyoushiro Imawano under the name “Imawano Kyoushiro, JOHNNY, LOUIS & CHAR” as a soundtrack for an animation. They performed live at school festivals and outdoor events under that name. 1988 – 1997, ran the telephone order based Indies record label “Edoya Record”. In June 1988, released the solo album “Psyche”. On June 7th, performed live under “JOHNNY, LOUIS & CHAR” in Tameike PIT. This was a first in a long time. In 1991, released “TREMENDOUS” under the name “BAHO”, an acoustic duo group that he formed with Osamu Ishida. Although very much at random, the duo still perform from time to time. In November 1993, formed “PSYCHEDELIX”. After several changes to the lineup, released 2 albums. In 1994, PINK CLOUD/JOHNNY, LOUIS & CHAR broke up. In 1996 released the EP “Smoky” under the name PSYCHEDELIX, but at this point, the only members left in the band were Jim and Char. In 1998, Char transferred to a new record label, where he stayed until 2007 and released 9 albums (including 2 best of albums, and 1 remix). In 2010, started the Internet order based Label Zicca. Released titles under what is called the TRADROCK series, where he arranged and recorded music of his roots. They were called “Eric”, “Jeff”, “The B”, “The V”, “Jimmy”, and “Char By Char”. These days, at random times, he has been touring locations that he has never toured before under “TRADROCK By Char”. He also has a side project called “Samurai – 3”, which he formed with Tamio Okuda and Masayoshi Yamazaki. However, they have only been performing at events thus far. 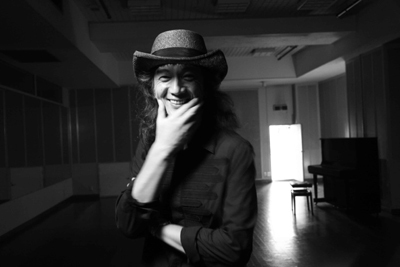 In 2011, Kazuyoshi Saito joined to trio to perform as “Samurai – 4” at RSR.